Apparently to no avail, Mark Deshon explains a critical turn on the course. 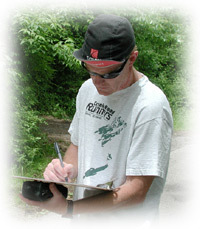 For the third consecutive year, the event attendance record was broken. 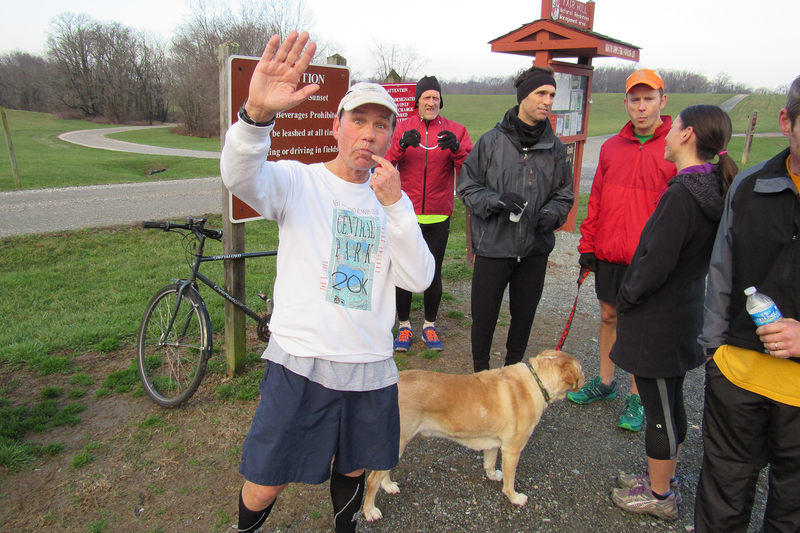 With the addition of 11 “newbies,” a record 25 people (and one eager canine) came out to run/jog/walk all or part the loop course. Twenty-five runners salute 2016 – front row: Mark Hufe, Bob Opila, Allison Rose, Molly Shay, and Dave Schultz with Dakota; second row: Emily Barton, April Anderson, Bill Rose, Amy Shay, Christine Schultz (the “one”), Ben Schultz, Owen Edwards, and Paul Amer; back row: Bruce Hubbard (the “two”), Deanna Pillarelli, Beverly Jackey, Sue Barton (the “zero”), Matt Robinson, Mike Shay, Charlie Riordan, Dave Edwards, Steve Tague (the “six”), Judy Knox, Bob DiIorio, and Mark Deshon. Steve Tague finishes in just over 37 minutes. 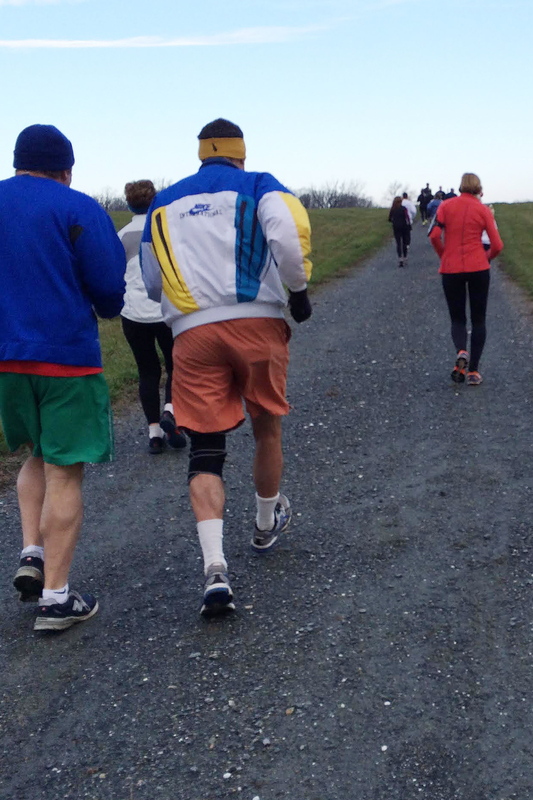 Runners start spreading out up the first incline. CRR Steve Tague biked to the parking lot from home. 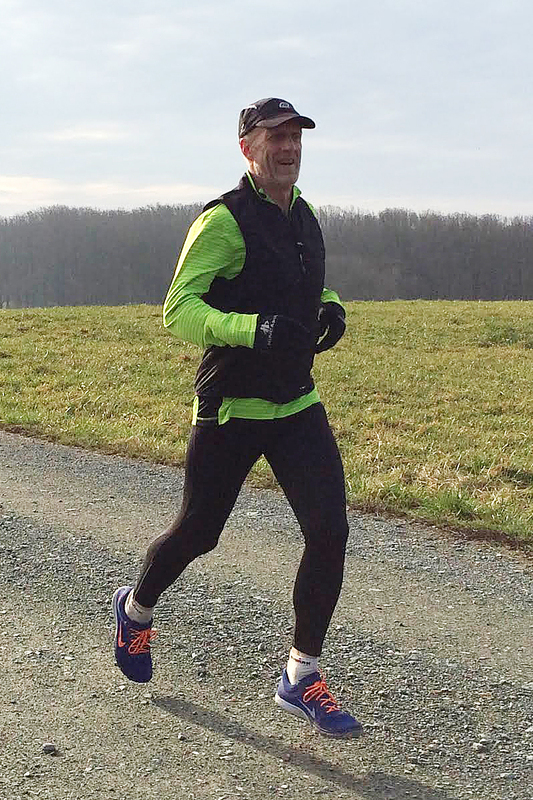 He and CRR Mark Deshon ran together and pulled away early from the rest of the field of runners, which quickly spread out along the plateau in the initial mile. Steve eventually pulled ahead of Mark in the last quarter mile. Of course, Mark’s excuse was that Steve was already well warmed up because of his bike ride. But give him plenty of credit for being so eco-friendly. 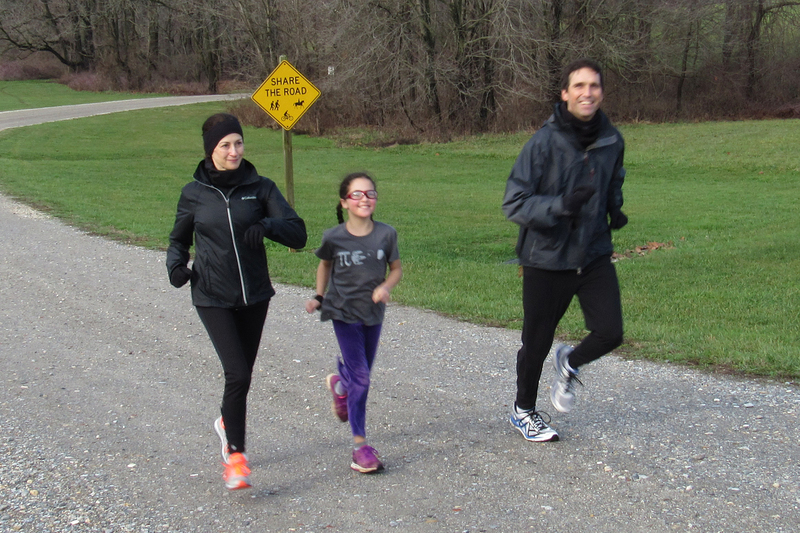 The Shays share the road and family fun. There were five multi-generational pairings or groups present, so the event had a real “family feel.” CRR Dave Schultz and CRR Christine Schultz not only brought their son, Ben, but their dog, Dakota. 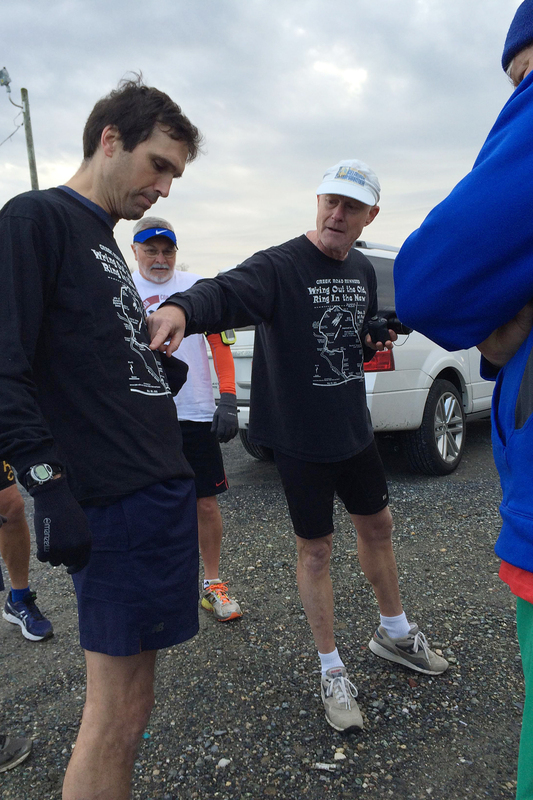 Dave, Ben, and Dakota took the short route, as did CRR Mike Shay, running with wife, Amy, and daughter, Molly. CRR Dave Edwards and son, Owen, ran the entire loop. CRR Sue Barton came with daughter, Emily, who ran ahead of her mom. CRR Bill Rose ran the loop with his daughter, Allison. 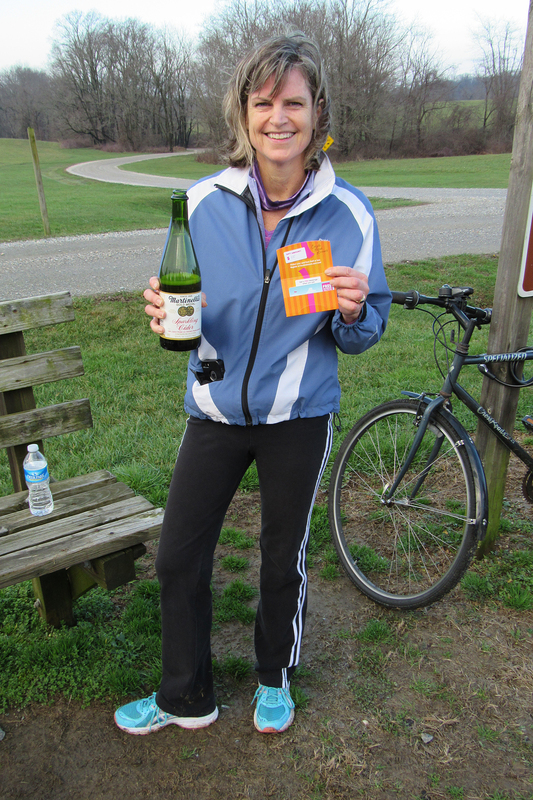 Giveaway winner Judy Knox enjoys some bubbly and a gift card. Two husband-wife teams made it as well. CRR Bruce Hubbard, always here, always ready each year, brought CRR April Anderson, who preferred to walk. “Newbie” CRR Bob DiIorio and his wife, Judy, ran the course together. Bruce brought friend, Mark Hufe; Deanna Pillarelli and CRR Beverly Jackey returned for their second consecutive year at Fair Hill. As usual, CRR Bob Opila showed as well. Judy DiIorio won the “newbie” random giveaway at the end of the event; as CRR Charlie Riordan drew her name and presented her with a gift card for Dunkin’ Donuts (official “sponsor” of the event—Charlie still runs on Dunkin’). With a fresh donut hole in his mouth, Bob Opila says “so long” to 2015.